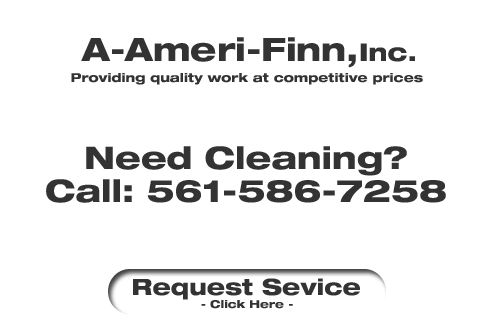 When hoping to come across a South Florida floor cleaning company, please be sure and look into our services at A-Ameri-Finn Inc. Since 1999 we have been catering to the area by providing our specialized flooring services. We do both residential and commercial accounts. This helps for business and homeowners to be able to take advantage of our services. There’s never a job to bog or small enough for us to handle. When you want professional flooring services, that’s exactly what you’ll get. You don’t have to replace your carpeting just yet. We can make sure that all those spots and stains are taken out so that it looks like new. Replacing carpeting can be nothing more than a hassle and very expensive anyways. Over time, items in the home pick up dirt. Dust mites and possibly microbes can grow if they are exposed to food or other organic substances. If left alone, these fixtures can cause health issues for those that are sensitive or have weakened immune systems. Because of this, steam cleaning furniture can deliver real health benefits to the home. With a trained professional, it can be done cost effectively and quickly. Your tiles are another type of flooring that gets dirty very easily. Tiles don’t seem like they would, but they do due to the porous material they are created from. A-Ameri-Finn Inc. can make those tiles shine in your bathroom or kitchen areas by putting an invisible seal on them after being cleaned. If we can’t do it, then no South Florida floor cleaning company can. Our revolutionary hardwood floor cleaning process uses a low-speed rotary brush and proprietary cleaning solution to reach tough dirt and contaminants. 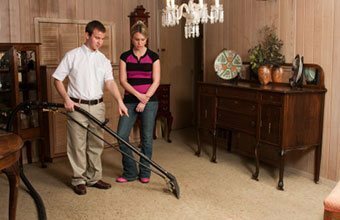 As our technicians clean your floor, squeegees trap the dirt, and a powerful vacuum extracts both the dirt and the excess cleaning solution. Any commercial business that’s in need of a janitorial service, such as schools, offices, and other sites, can call A-Ameri-Finn Inc. We can contract our guys to clean and service your operation. We’ll get it so clean that you can practically eat off the floor. We are certified and trained to provide quality service, attention to detail and strive to create long lasting relationships with you our customer. Looking to change the color of your floors? You can take advantage of the color sealing process by calling A Ameri Finn. If you don’t like the color of your grout, then you can easily have the appearance modified. 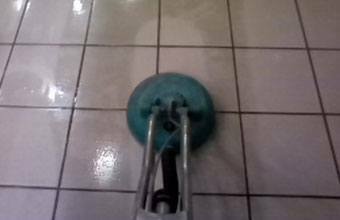 If you are looking for a floor cleaning and care company then please call 561-586-7258 or click here to complete our online request form.